This name uses Spanish naming customs: the first or paternal family name is Caparrós and the second or maternal family name is Camino. Joaquín de Jesús Caparrós Camino (born 15 October 1955) is a Spanish football coach, currently in charge of CA Osasuna. Caparrós was born in Utrera, Province of Seville, Andalusia. After an obscure career as a player, he started coaching in his mid-20s, his first club being amateurs San José Obrero CF. The first professional spell came at local Recreativo de Huelva, which he helped reach Segunda División in the second of his three years. Caparrós was then on Villarreal CF's bench for seven games, as the Valencian Community side returned to La Liga after one year out, then led his following team, Sevilla FC, to a similar fate. With youth products such as Carlos Marchena, José Antonio Reyes and Jesuli – Sergio Ramos soon followed – and the future signings of Júlio Baptista, Adriano, Daniel Alves and Renato, the manager set the foundations for future domestic and European success, but was replaced by Juande Ramos before any of the actual conquests. In the 2005 summer, Caparrós moved to Deportivo de La Coruña, being fired after a poor second season. Afterwards he was appointed at Athletic Bilbao, beating former club Sevilla in the semifinals of the 2008–09 edition of the Copa del Rey (4–2 aggregate) and qualifying for the UEFA Europa League as FC Barcelona won the treble. In the 2010–11 campaign, Caparrós led the Lions to the sixth position, once again qualifying to the Europa League. On 7 July 2011, after his contract expired – the club also underwent a chairman change after an election – he left Athletic Bilbao, being replaced by Argentine Marcelo Bielsa. 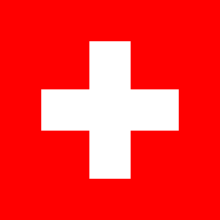 On 27 July 2011, Caparrós accepted a coaching offer from Swiss team Neuchâtel Xamax. He resigned after just five matches, following a disagreement with owner Bulat Chagaev. On 3 October, RCD Mallorca vice-president Lorenzo Serra Ferrer announced that the Balearic Islands side had reached an agreement with the manager. 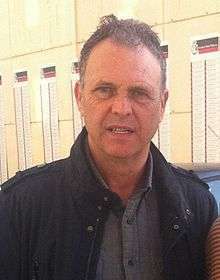 On 4 February 2013, after a promising start of the season, with three home wins and two away draws in the first five rounds, Caparrós was relieved of his duties as Mallorca ranked second from bottom. His last game in charge was a 0–3 away loss against Real Sociedad. After finishing his debut campaign with Levante UD in the tenth position, Caparrós was given a two-year contract extension on 23 May 2014. However, the following week, he left and joined fellow league club Granada CF. On 16 January 2015, as Granada ranked last in the league table and had just been ousted from the domestic cup by Sevilla (1–6 on aggregate), Caparrós was relieved of his duties. He returned to work in early November of the following year, replacing sacked Enrique Martín at the helm of CA Osasuna. ↑ Rodríguez, Miguel Á. (23 May 2014). "Caparrós, dos años más" [Caparrós, two more years] (in Spanish). Marca. Retrieved 23 May 2014. ↑ "Primera Division: Joaquin Caparros takes over as Granada head coach". Sky Sports. 28 May 2014. Retrieved 19 June 2014. ↑ "El Granada cesa a Joaquín Caparrós" [Granada sacks Joaquín Caparrós] (in Spanish). Mundo Deportivo. 16 January 2015. Retrieved 16 January 2015. ↑ "Joaquín Caparrós, nuevo entrenador de Osasuna" [Joaquín Caparrós, new Osasuna manager] (in Spanish). Marca. 8 November 2016. Retrieved 8 November 2016. ↑ "Tercera División (Grupo 17) 1990–91" [Tercera División (Group 17) 1990–91] (in Spanish). Futbolme. Retrieved 26 November 2016. "Copa del Rey 1990–91" [Cup Of the King 1990–91] (in Spanish). Futbolme. Retrieved 26 November 2016. "Tercera División (Grupo 17) 1991–92" [Tercera División (Group 17) 1990–91] (in Spanish). Futbolme. Retrieved 26 November 2016. "Fase de ascenso a Segunda División B 1991–92 (Grupo D4)" [Phase of promotion to the Second Division B 1991–92 (Group D4)] (in Spanish). Futbolme. Retrieved 26 November 2016. "Copa del Rey 1991–92" [Cup Of the King 1991–92] (in Spanish). Futbolme. Retrieved 26 November 2016. ↑ "Tercera División (Grupo 17) 1992–93" [Tercera División (Group 17) 1992–93] (in Spanish). Futbolme. Retrieved 26 November 2016. "Fase de ascenso a Segunda División B 1992–93 (Grupo D4)" [Phase of promotion to the Second Division B 1992–93 (Group D4)] (in Spanish). Futbolme. Retrieved 26 November 2016. 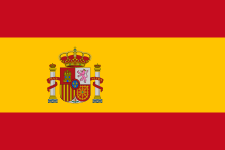 ↑ "Tercera División (Grupo 17) 1994–95" [Tercera División (Group 17) 1994–95] (in Spanish). Futbolme. Retrieved 26 November 2016. ↑ "Tercera División (Grupo 14) 1995–96" [Tercera División (Group 14) 1995–96] (in Spanish). Futbolme. Retrieved 26 November 2016. "Fase de ascenso a Segunda División B 1992–93 (Grupo D1)" [Phase of promotion to the Second Division B 1995–96 (Group D1)] (in Spanish). Futbolme. Retrieved 26 November 2016. ↑ "Caparrós: Joaquín de Jesús Caparrós Camino Matches 1996–97". BDFutbol. Retrieved 26 November 2016. "Caparrós: Joaquín de Jesús Caparrós Camino Matches 1997–98". BDFutbol. Retrieved 26 November 2016. "Caparrós: Joaquín de Jesús Caparrós Camino Matches 1998–99". BDFutbol. Retrieved 26 November 2016. ↑ "Caparrós: Joaquín de Jesús Caparrós Camino Matches 1999–00". BDFutbol. Retrieved 26 November 2016. ↑ "Caparrós: Joaquín de Jesús Caparrós Camino Matches 2000–01". BDFutbol. Retrieved 26 November 2016. "Caparrós: Joaquín de Jesús Caparrós Camino Matches 2001–02". BDFutbol. Retrieved 26 November 2016. "Caparrós: Joaquín de Jesús Caparrós Camino Matches 2002–03". BDFutbol. Retrieved 26 November 2016. "Caparrós: Joaquín de Jesús Caparrós Camino Matches 2003–04". BDFutbol. Retrieved 26 November 2016. "Caparrós: Joaquín de Jesús Caparrós Camino Matches 2004–05". BDFutbol. Retrieved 26 November 2016. ↑ "Caparrós: Joaquín de Jesús Caparrós Camino Matches 2005–06". BDFutbol. Retrieved 26 November 2016. "Caparrós: Joaquín de Jesús Caparrós Camino Matches 2006–07". BDFutbol. Retrieved 26 November 2016. ↑ "Caparrós: Joaquín de Jesús Caparrós Camino Matches 2007–08". BDFutbol. Retrieved 26 November 2016. "Caparrós: Joaquín de Jesús Caparrós Camino Matches 2008–09". BDFutbol. Retrieved 26 November 2016. "Caparrós: Joaquín de Jesús Caparrós Camino Matches 2009–10". BDFutbol. Retrieved 26 November 2016. "Caparrós: Joaquín de Jesús Caparrós Camino Matches 2010–11". BDFutbol. Retrieved 26 November 2016. ↑ "Caparrós: Joaquín de Jesús Caparrós Camino Matches 2011–12". BDFutbol. Retrieved 26 November 2016. "Caparrós: Joaquín de Jesús Caparrós Camino Matches 2012–13". BDFutbol. Retrieved 26 November 2016. ↑ "Caparrós: Joaquín de Jesús Caparrós Camino Matches 2013–14". BDFutbol. Retrieved 26 November 2016. ↑ "Caparrós: Joaquín de Jesús Caparrós Camino Matches 2014–15". BDFutbol. Retrieved 26 November 2016. ↑ "Caparrós: Joaquín de Jesús Caparrós Camino Matches 2016–17". BDFutbol. Retrieved 26 November 2016.